​We're not sure whether Kyrie Irving sees enough in the Knicks' empty void to consider signing in NYC this summer, but we are sure that he's far more defiant on Friday morning that he's ever been before. With ​two max slots open at the Garden following the jettisoning of Kristaps Porzingis, there's been a ton of chatter about Irving, a ​Jersey native who's slated to play the Knicks in New York Friday night. Nice timing. And though the scoring guard pledged his return to Boston this past summer, things predictably got a little wishy-washy after the latest round of changes. 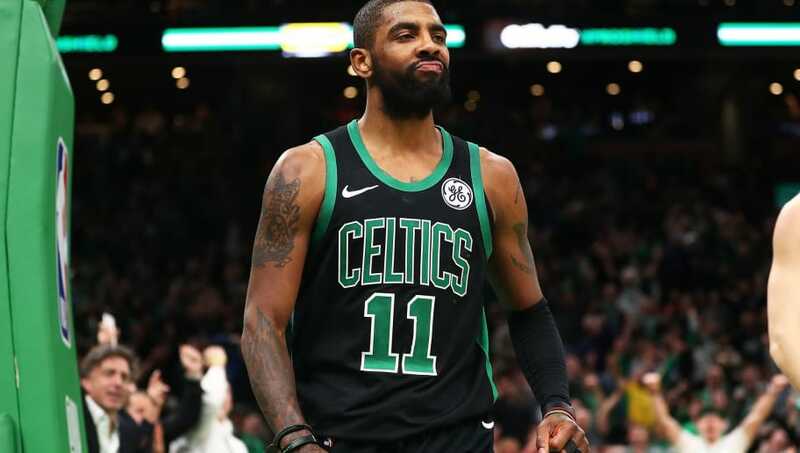 Kyrie Irving asked if his mindset has changed regarding re-signing with Boston: “Ask me July 1.” He says he’s going to do what’s best for his career. He stopped there, though, right? Just allowed for a bit of an open door, and kept his mouth shut? ​​Oh goodness no. No, Boston, no. To be perfectly fair, Irving told Celtics reporters that Boston still leads said "free agency chase" that he chose to open himself just moments ago. But to be fairer, he spent half a year claiming he'd stay, even announcing it at the Celtics preseason season ticket holder fan event, stomping out speculation before it even started. Then he torched that trust in one fell swoop on Friday as soon as the Knicks opened up a spot for him. If Irving doesn't trust Boston's young players, then we're not sure why he'd trust New York's worst stable of undeveloped young players. However, far be it from us to predict this absurd man's next step.